Have you ever tried to learn lead guitar? If so you know how time-consuming practicing guitar solos can be. Fortunately, many resources are available for self-taught players to help jump-start this process but you may find it hard to focus on what’s important. Putting all the basics together might be natural for you or you might not know exactly where to begin. Whatever the case is here are a few pointers for you to look at. 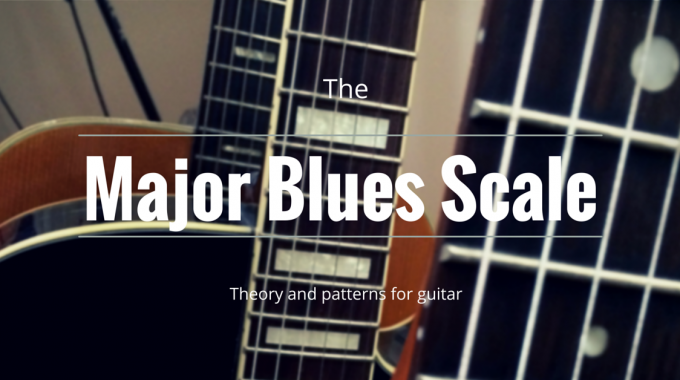 One great way to start is to learn lead guitar is to know your scales. Don’t go overboard and try to memorize every scale all the shapes, you should rather focus on targeted ones that fit the musical genre you aspire to master. For example, if you want to play blues or rock guitar simply start with the minor blues or the minor pentatonic. You can play countless solos in these styles with only two box patterns. If you are seeking to play other lead guitar styles, you might want to look into what your favorite artists are playing and see what scales and patterns they are using. You can download my Free guitar scale pdf guide to make it easier to learn them. Learning licks from your favorite guitar players is a great way to get started. However, you should avoid trying to copy to perfection. You should instead make the guitar lines your own by applying it to another song. This helps you use it in different contexts while enhancing your musical vocabulary. By doing so, it also forces you to understand the theory behind it. 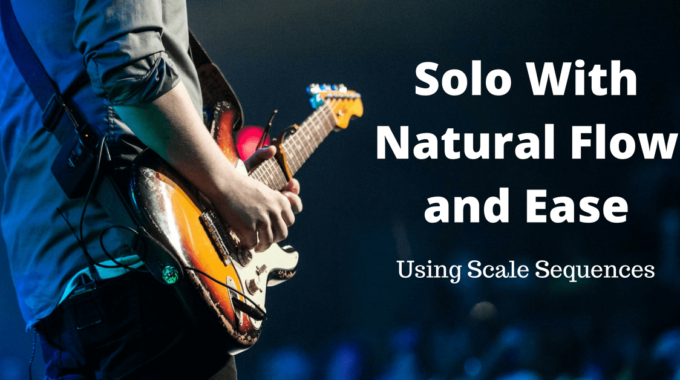 You may learn a solo note for note but while it helps achieve timing and discipline, you can lose a lot of time if you tackle material way outside your actual technical capabilities. I recommend you to split them into small pieces and learn the parts you think are interesting and apply it to your own music. In other words, you should avoid practicing a Dream Theater solo for weeks. 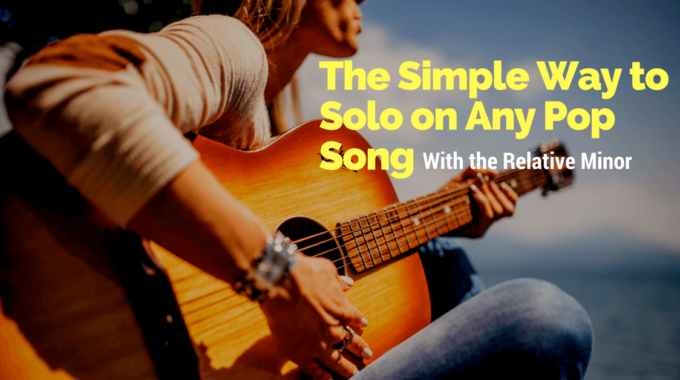 It’s no secret, you must practice to master any instrument but learning guitar soloing is, even more, time intensive than getting to strum a few chords. You must set aside specific periods for mindful practice sessions. You can accomplish a lot with a limited daily routine if you are consistent and well organized. When starting out, you need to learn some common techniques. I broke down the most important ones and created exercises to help you focus on each one individually. String bending is often overlooked by beginners and can make a huge difference in your sound and tone. When bending, you are changing the pitch of the note by pulling the string up or down. You can use any finger but it’s easier to start with the third and fourth one. You usually seek a precise note (that’s where most of the challenge is). A great way to get better at this is to fret a note and go down 1 or 2 frets trying to reach the sound first played. Here is a basic exercise to help begin with this. Be sure to have a firm grasp of the string while keeping your forearm relaxed. This example is in A minor blues. 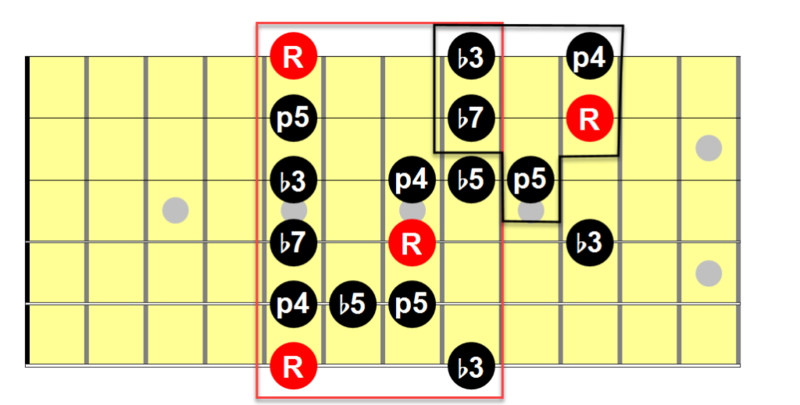 This exercise uses the A Minor blues scale. It solicits different fingers and various pitch levels. Timing is not so important here, you should rather focus on precision. Slides create movement and are a great way to connect different parts of a guitar solo. They are very common and are done by sliding your finger on the string going from one fret to another while holding the pressure. The secret here is consistency. You do not want to put too much pressure but still keep the sustain generated from the first pick stroke so you don’t have to strum the targeted note. Paying attention to the timing is also crucial and when moving from one fret to another. Hammer-ons are a great way to play fast licks because it keeps you from picking every note. They also sound less percussive than strummed notes. You first pick a note and fret another one on the same string to create a new note. Practicing this technique using a metronome will help you get the timing right. You may find that you don’t have enough strength at first but with some practice, you can build those finger muscles just like you would with any physical training. This one uses a chromatic scale, to get the most out of it, you should practice with a metronome to make sure you are really consistent. It’s actually harder when played at very slow speed and this is where you should start. This one does not require the use of a metronome it’s more about muscle memory and repetition. Pull-offs are similar to hammer-ons. You simply take your finger off the fretted note to let the string vibrate on another lower fret. To make the second note ring louder you may want to give a small “snap” or very gentle bend before taking off your finger. You should do this without altering the pitch of the original note. This one is chromatic (meaning you play all the notes). You should first take it slow and make sure that all the notes ring equally. This one can help you generate nice and rapid licks. It’s an A minor pentatonic scale sequence using both hammer-ons and pull-offs. Vibrato is a very common technique for most stringed instruments. It gives a very human characteristic to the sound. Like its name implies you vibrate the guitar string. The speed of the vibration and the width of it can vary depending on the desired effect or the personal guitar player’s taste. You must get a firm grasp on the note while moving your wrist rapidly. BB King was very famous for his quick and intense vibrato technique but it can be done in many different ways. Some players like to do small “circles” like you would imagine a violinist doing. Just try to find your own style and make sure you are able to do both fast and slow vibratos. You should first practice with the index and the third finger since these will be the most solicited ones. You can also apply this technique to a bent string. This requires, even more, precision and you should practice this on its own. I hope you enjoy this lesson and hope it motivates you to learn lead guitar. Let me know what you think or if you have any questions or if you would like a part 2 for more advanced techniques.